The McFadden Center, a 184,737-square-foot retail, industrial and office complex here, sells to Horowitz Group, which was seeking an investment with dependable, diversified cash flow, GlobeSt.com learns EXCLUSIVELY. The center consists of eight industrial/flex buildings, one in-line retail building and two retail pads on 13.44 acres. 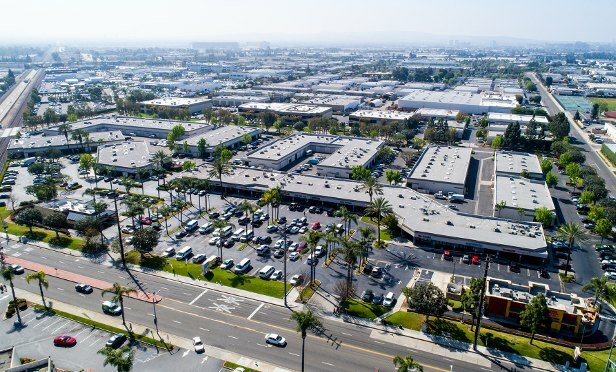 SANTA ANA, CA—GlobeSt.com has learned exclusively that Horowitz Group has acquired the McFadden Center, a 184,737-square-foot retail, industrial and office complex here, for an undisclosed amount from California-based Newport Asset Management Group LLC. The mixed-use property is located at 1261 S. Lyon, 1277 S. Lyon, 1669 E. Wilshire, 1715 E. Wilshire, 1735 E. Wilshire, 1815 E. Wilshire, 1790 E. McFadden, 1780 E. McFadden, 1714 E. McFadden, 1700 E. McFadden and 1766 E. McFadden. Carrie Rossenfeld is a reporter for the San Diego and Orange County markets on GlobeSt.com and a contributor to Real Estate Forum. She was a trade-magazine and newsletter editor in New York City before moving to Southern California to become a freelance writer and editor for magazines, books and websites. Rossenfeld has written extensively on topics including commercial real estate, running a medical practice, intellectual-property licensing and giftware. She has edited books about profiting from real estate and has ghostwritten a book about starting a home-based business. The Austin, TX-based hotel REIT also reports that it has closed on the sale of the 148-room Hyatt Place Fort Myers/at the Forum in Fort Myers, FL for $16.5 million or approximately $111,000 per key.